The First Edition of the 'Symbolism of Om and the Gayatri-Mantra', published as No. 7 in the Hinduism Booklets Series on 7th September 1985 (Janmastami Day) by the Centre for Reshaping Our World-View, Calcutta, for the centre for the diffusion of the Light of Sanatana Dharma, because very popular both in India and abroad, and soon a reprint was called for. When the author was contemplating bringing out a revised Second Edition, it was felt that it would receive a wider circle of readers if the booklet were published by a centre of Ramakrishna Math. The Ramakrishna Math, Madras, has now kindly accepted the proposal to publish the Second Edition and suggested to the author to add a few pages on the significance of the Sandhya-Upasana in which the Japa of the Gayatri-Mantra forms the essential core. 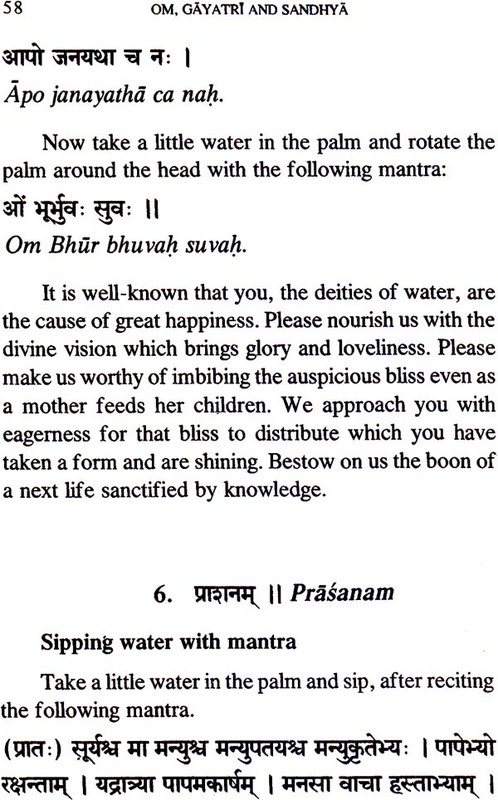 Accordingly, a chapter has been added on Sandhya-Upasana as Part II of the booklet, and the earlier portion has been slightly revised and is being intend to use the book for the actual performance of the Sandhya, a Part III also has been added which gives complete details regarding the mantras and the procedures to be adopted. The title of the booklet also has been amplified into 'Symbolism of Om and the Gayatri and Sandhya Upasanas'. The copyright of the book too is now passed on to Sri Ramakrishna Math, Madras. All the great religions of the world have recognized that prayer is the link between man engrossed in the concerns of life and the Supreme Being, of whom he and the universe are the shadows, emanations or creations. The large Muslim community of the world has got the Namaz, which has to be uttered and contemplated upon five times a day. A very large cross section of them practices it at least twice a day. Similarly the Christians have got the Lord's Common Prayer. The followers of the Vedas too have a prayer corresponding to these, and that is Gayatri Mantra with Sandhya Upasana, to be done three times a day. It is however true that not all those who are classed as Hindus  by which expression is meant persons who profess allegiance to the Vedas  the considered eligible by the tradition in practice for the performance of the Sandhya Upasana and the Gayatri Mantra. It is shown on pp. 48 and 49 of this book that this exclusion has no sanction of the Veda and the Smrti of Manu. One can therefore say with much justification that the Gayatri and Sandhya form the universal prayer for all Hindus. But the unfortunate situation today is that even those who are considered eligible by tradition for this prayer, have woefully begun to neglect it. A time was when a Brahmana who failed to observe the Sandhya was considered a Patita (fallenone) and only a Brahma-bandhu (a nominal Brahmana). But such feelings have disappeared among large sections of them. To some extent this is mainly due to the mere formality, without any understanding of the meaning, to which these practices have been reduced in the hands of the orthodoxically minded people who practice them. 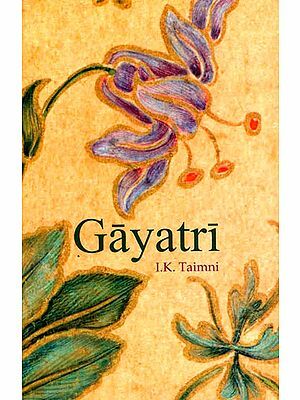 Among those who observe the practice, it is rare to find one who knows even the simple meaning of the Gayatri. Their attention is more on the external limbs (Angas) of the practice, than on the core of it, namely repetition of the Gayatri Mantra with concentration on its meaning. 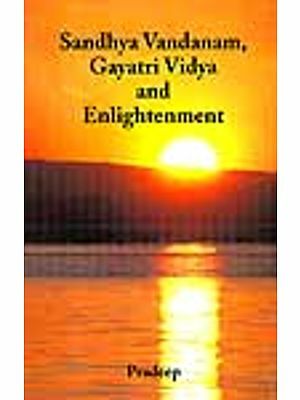 The object of this book is to bring to the earnestly-minded people the unique significance and the deep philosophy behind the Gayatri Mantra and the Sandhya Upasana. The learned author has dealt with these in depth, giving the philosophic significance of their practices and their pragmatic value. These may be some who are not able to go all the way with him in understanding these and will be satisfied with the simple meaning of Om and the Gayatri and the Sandhya. We would like to draw the attention of such readers to pp. 9-13, and 39 for the symbolism of Om, and to pp. 17, 18 and 28 as also pp. 54, 55, 72 & 73 for the other subjects. For the benefit of those who want to perform Sandhya in the orthodox style we have given in Part III the complete details regarding the Mantras to be chanted, and the procedures to be adopted, in Devanagari script with transliteration and English translation. There will be minor variations in these practices adopted by the followers of the different Vedas. 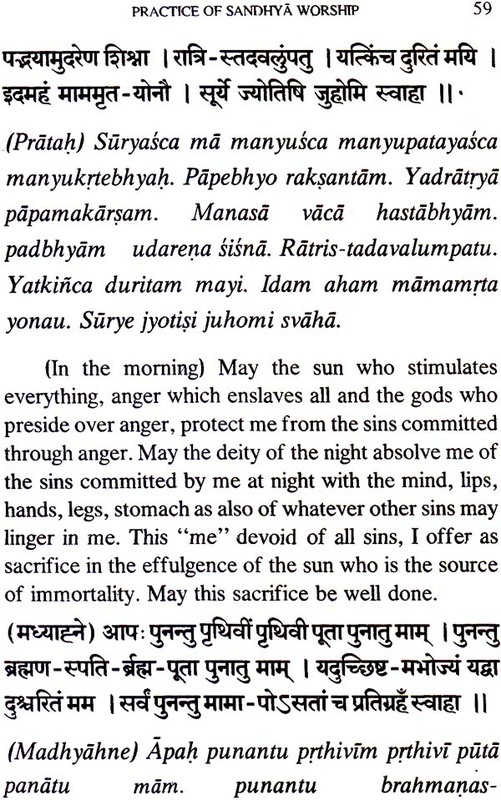 As the majority are the followers of the Yajur Veda, we have adopted their tradition in this book. The First Edition of the 'Symbolism of Om and the Gayatri-Mantra', published as No. 7 in the Hinduism Booklets Series on 7th September 1985 (Janmastami Day) by the Centre for Reshaping Our World-View, Calcutta, for the Centre for the Diffusion of the Light of Sanatana Dharma, became very popular both in India and abroad, and soon a reprint was called for. When the author was contemplating bringing out a revised Second Edition, it was felt that it would receive a wider circle of readers if the booklet were published by a Centre of the Ramakrishna Math. The Ramakrishna Math, Madras, has now kindly accepted the proposal to publish the Second Edition and suggested to the author to add a few pages on the significance of the sandhya-Upasana in which the Japa of the Gayatri-Mantra forms the essential core. Accordingly, a chapter has been added on Sandhya-Upasana as Part II of the booklet, and the earlier portion has been slightly revised and is being published as Part I. for the convenience of those who intend to use the book for the actual performance of the Sandhya, a Part III also has been added which gives complete details regarding the mantras and the procedures to be adopted. The title of the booklet also has been amplified into 'Syambolism of Om and the Gayatri and Sandhya Upasanas'. The copyright of the book too is now passed on to Sri Ramakrishna Math, Madras. It is hoped that his edition will prove of benefit to a wider circle of people. weight of book 69 gms.